JETAA (Qld) Inc.: Join us at our annual trivia event! Join us at our annual trivia event! 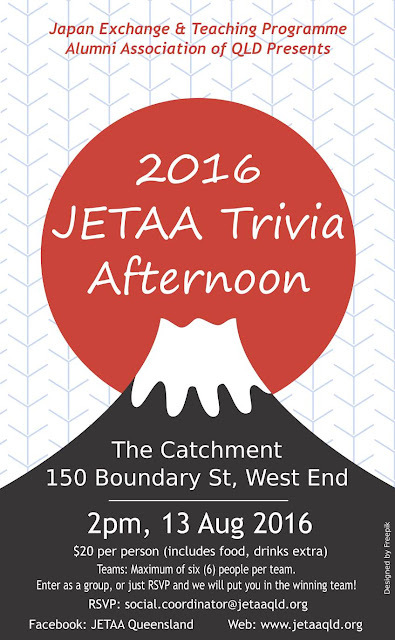 Open to members and non-members of JETAA, this annual trivia event is a fantastic chance for you to catch up with ex-JETs or find out about the JET programme! Everyone’s favourite event is back, and it’s just around the corner! 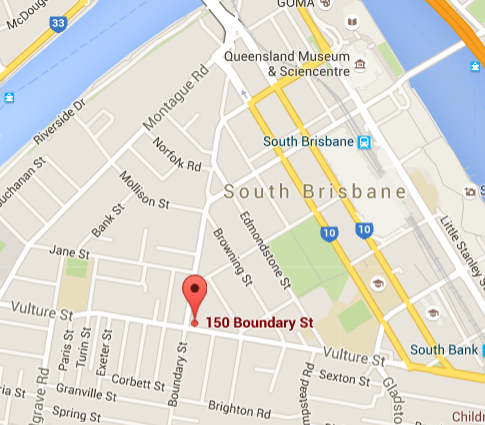 This year's JETAA Qld trivia event will also celebrate the 30th anniversary of the JET Programme. Brush up on your JET Programme knowledge for the special round of questions! Our new venue is hip, cool, and has beer. Lots of beer. RSVP early to secure a place. $20 per person including finger food for your table. Drinks to be purchased separately. Maximum of six (6) people per team. Enter as a group, or just RSVP and we will put you in the winning team! Please include the names of your team members and a contact phone number.